Completely self-contained, our New One bedroom Apartments offer pure convenience whether you are travelling for business or pleasure. With a comfortable living area and equipped kitchenette, our Studio Apartments are as much for living as they are for sleeping. Perfect for families and shared accommodation, our Superior Two Bedroom Apartments are spacious and well appointed. 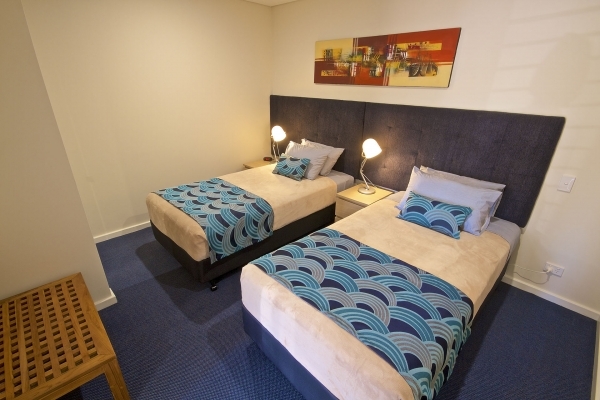 Make your next trip down south that extra bit special, with a stay at Bunbury Apartment Motel. Our apartments are big and homely, our facilities provide everything you need to enjoy your stay, and our staff are friendly and helpful. You’ll always feel welcome at Bunbury Apartment Motel. Bunbury Apartment Motel has 51 newly-renovated apartments that offer travellers all the comforts of home. Each apartment is spacious and fully-appointed, with room configurations that cater for solo travellers, couples and families. 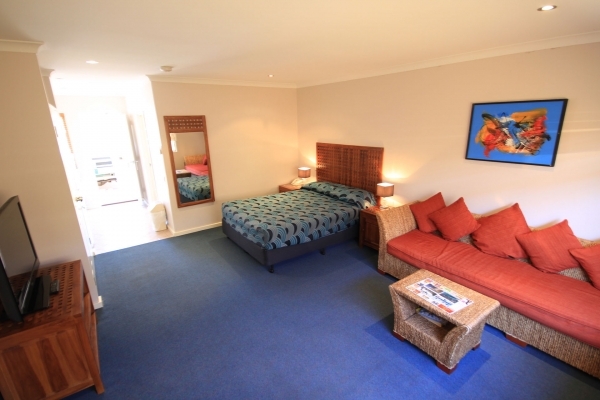 Wheelchair/disabled access rooms are available, and the premises is wheelchair friendly. This being Australia, we have pool and barbecue weather all year round. 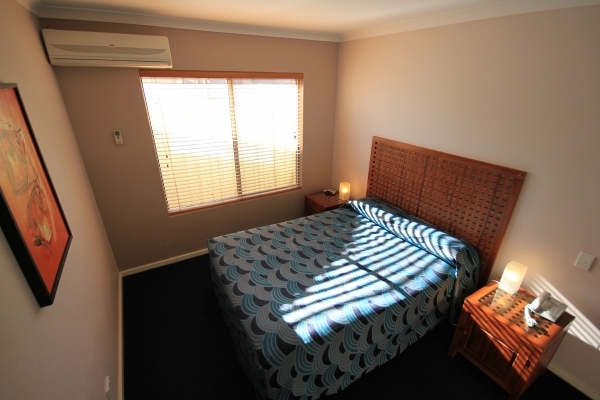 Guests at the Bunbury Apartment Motel can relax in the sun or shade by the pool, and cook up a feast on the barbie. We’ve made our apartments a great place to be able to relax. Each apartment is fully furnished, with enough comfortable chairs and couches for you to be able to kick back and unwind no matter which room you’re in. 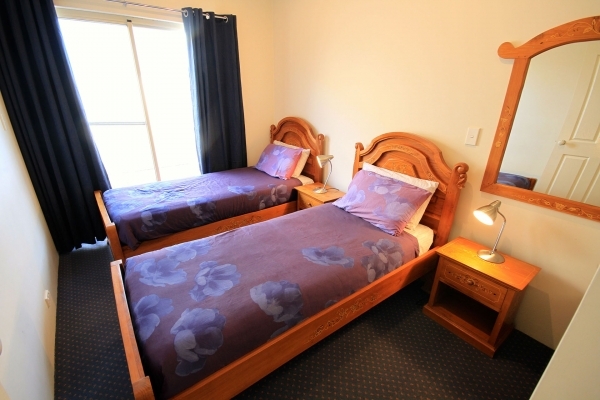 Bunbury Apartment Motel is a short distance from all of the sights and delights of the town itself. From the bustling day life of our busy shops and cafes, to the night life of some great restaurants, bars and clubs, you’ll always have something to do. The town of Bunbury sits on the shore of the crystal clear Indian Ocean. Beach life and ocean activities are a huge part of local culture, and a great spot for tourists to soak up the real Western Australia. Golden sands, azure waters and stunning views in every direction are Bunbury’s calling card to visitors. The locals are friendly and reflect WA’s cruisy, laid-back lifestyle. 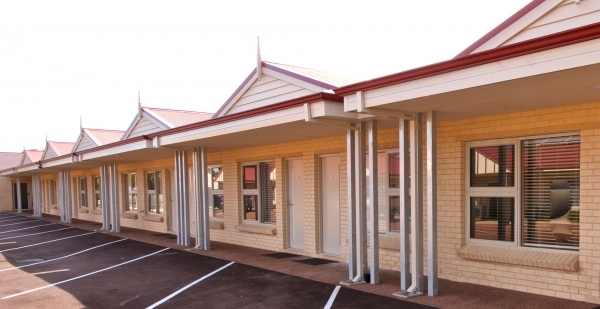 Bunbury Apartment Motel is a short distance from all of the sights and delights of the south west. Known as the gateway to the south west, Bunbury is the perfect centre point for a Western Australian adventure. From Bunbury you can access the glorious surf and vineyards of Margaret River, the laid back towns of Dunsborough and Busselton, and can road trip to some of the beautiful, smaller towns the south west has to offer. You’re even a short trip from Perth, if you need to get to the city. One of the world’s most revered wine regions, south west WA encompasses the great vineyards of the Swan Valley right down to Margaret River. There are so many wine tasting tours available across the south west that wine lovers are spoiled for choice. And, needless to say, you will be able to find an exquisite local drop in any of the restaurants around the region. Bunbury Motel and Bunbury Apartment Motel are close to all of Bunbury’s major infrastructure: its CBD, hospitals, sporting facilities and so on. Whether you plan on a short or long stay, you’ll feel right at home with all of Bunbury at your doorstep. Looking out at the crystal blue Indian Ocean, the port city of Bunbury is one of Western Australia's most popular tourist destinations, situated 175 kilometres (109 mi) south of the capital, Perth. Although central to the commerce of the South West, Bunbury is known for its laid-back lifestyle. Bunbury has all of the postcard-worthy features WA has to offer – pristine beaches, crystal clear oceans and cloudless blue skies. With the best of both worlds, it has the feel of a great country town with all of the luxuries of a modern metropolis. There's so much to see and do within the town itself, all year round. Bunbury's cappuccino strip gives you the perfect way to start any day: with a good cup of coffee. For more tantalising food and drink, you can head out to the beautiful Ferguson Valley for its world class restaurants, wineries and breweries. For the experience of a lifetime, visit the Dolphin Discovery Centre, where you can experience friendly dolphins up close in the wild. After a day of sun and sights, why not add to the fun with a visit to the Bunbury Bowling Club. For the wild at heart, the high-octane sights, sounds and smells of Bunbury Speedway are at your disposal. The region is home to some of the best music and arts festivals in the country. The annual Groovin' The Moo (GTM) festival brings the world's best bands, and crowds from across Australia, to Bunbury for an exciting weekend. For visual art and photography lovers, the Dardanup Art Spectacular is a popular event that hosts a series of exhibitions and competitions over the course of a month each year. As well as festivals and feature events, Bunbury is home to some great restaurants, pubs, bars and clubs that you can enjoy every night of the year.